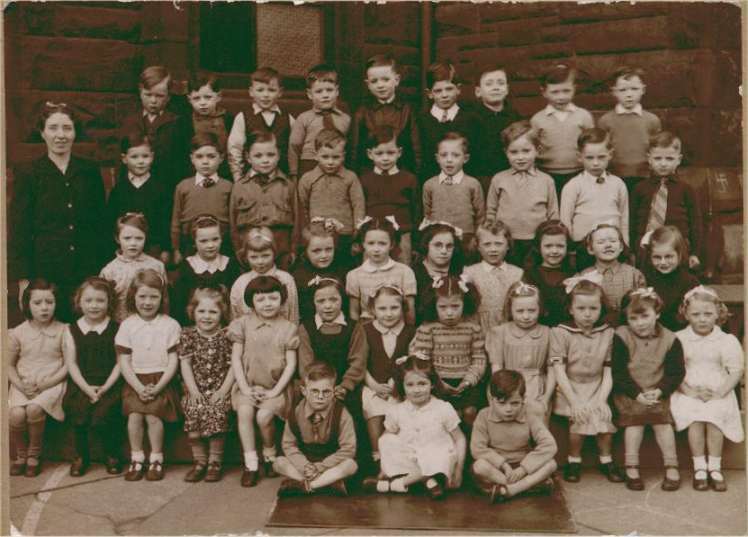 hi webmaister, I am sure that the little boy 4th from left top row is my younger brother Ronald Muir, who now lives in Toronto Canada, myself (Angus), my brothers Walter, Ian, Alexander,and my sister Elisabeth all attended Dalmarnock Primary And were very happy to do so. The class of 1947 the boy 1st. bottom row is my brother Alexander . Unfortunately I have not been able to find my own photo. I attended Dalmarnock Primary school until aged eleven, then our family moved to pollok, where I stayed until getting married in 1964. I moved abroad (dec.1964) We went to Australia and stayed there for four years returning in 1969. We have lived here for almost forty years and are in our third house. My Wife Margaret and I have two sons and three grandkids. I do remember a teacher, a Miss Mckechnie and the Heidie, a Mr Bain but thats about all I can recall.